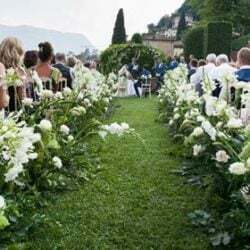 After Suzanne and Christopher, Loretta and Scott, Nicky and Chris we are on Lake Maggiore again to tell you about another magic wedding: Simone and Stephans’ wedding. They were such a lovely couple coming from Zurich, Switzerland. 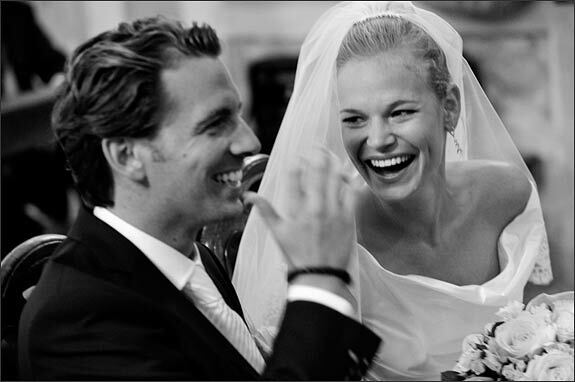 First of all a big thank you to Andrea and Marcus a great couple of Swiss photographers that kindly put on disposal their great images of Simone and Stephan’s wedding. A vintage and really unconventional service that we found really unique. The yellow shade gives to images a sense of warm and cosy brightness. 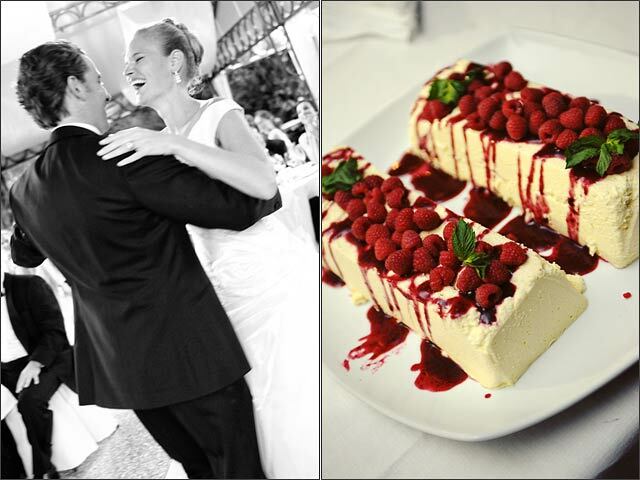 Simone and Stephan wanted a unique and unforgettable wedding. 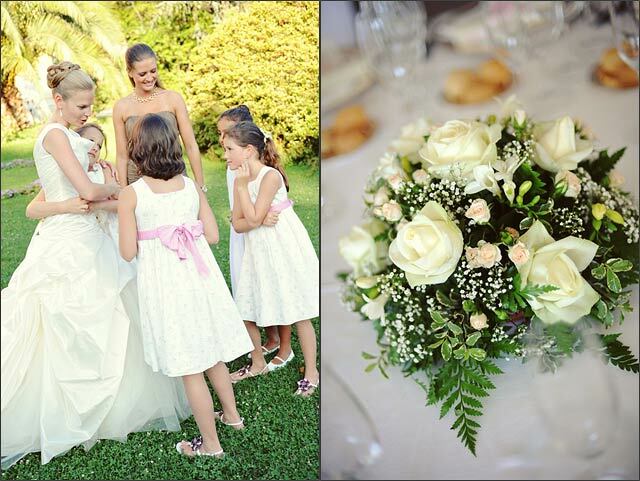 They looked for a real elegant and Italian style event to give their day a touch of glamour. 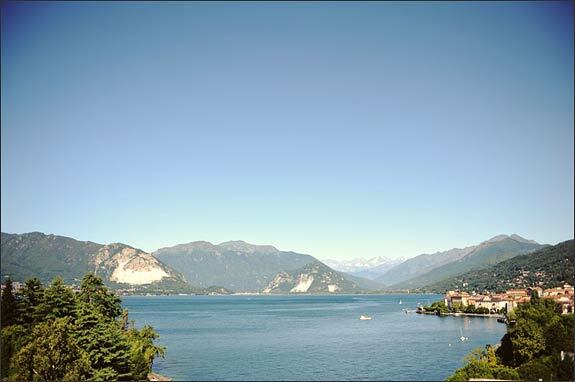 After visiting many venue they choose Lake Maggiore and little town of Pallanza. 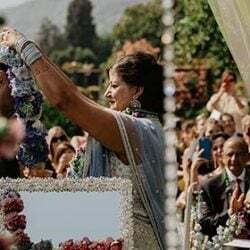 Bride and groom opted for a religious ceremony to Sacro Monte church in Ghiffa and a wonderful reception to Villa Rusconi Clerici in Pallanza just few minutes far from the church. For all guests Simone and Stephan wanted a week end long event. 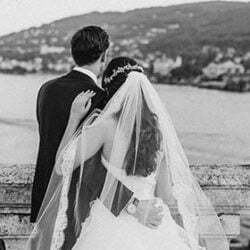 They started with a lovely dinner on friday night in a traditional pizzeria facing the lake. 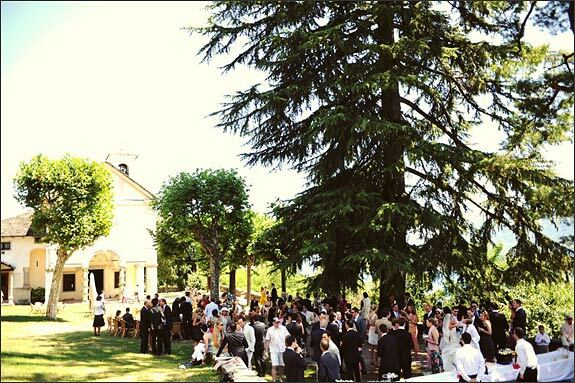 Saturday the day of the wedding they decided for a big party to Villa Rusconi sipping champagne, delicious Italian cuisine and fun dances up to early hours of Sunday. 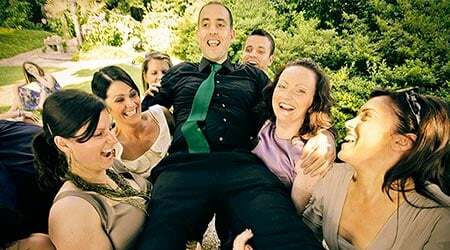 The big day of Saturday begun early in the morning to Grand Hotel Majestic where the group stayed for all the wedding week end. Dividing herself among make up and hair trial Simone spend some hours with her mother and maid of honor Rachel. On late morning they all reached Ghiffa where all guests and Stephan were waiting for them. 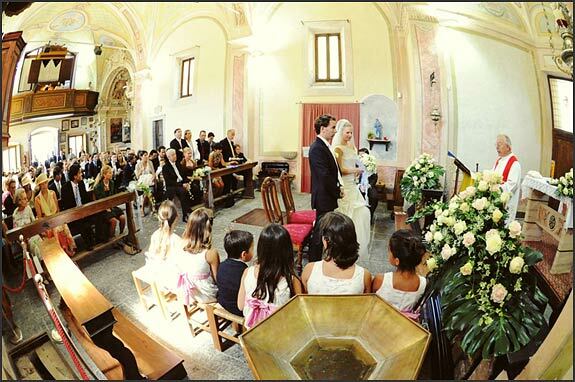 Simone and Stephan got married in the tiny romantic 1600 church of Sacro Monte of Ghiffa. 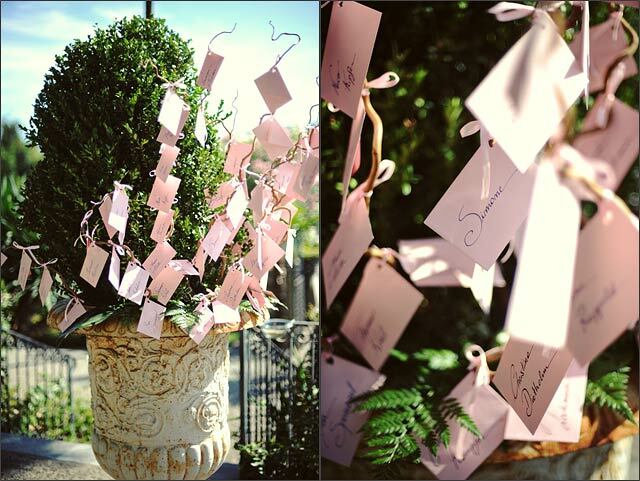 Floral decorations were arranged by Manuela the floral designers who works in partnership with La Piccola Selva. 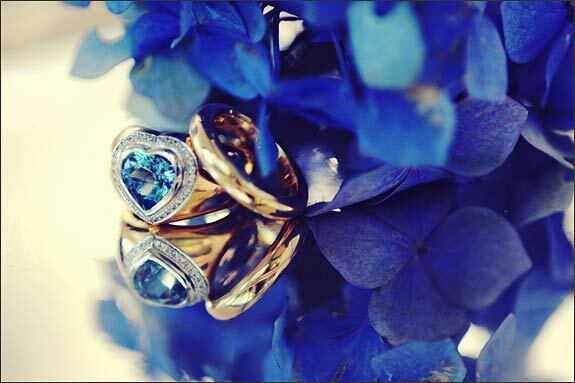 Roses were main flowers. 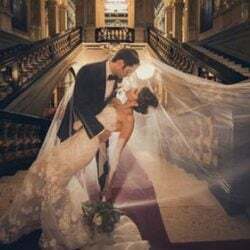 Arrangement at the church included external columns, pews, balusters, and aisle to the altar totally covered with rose petals. 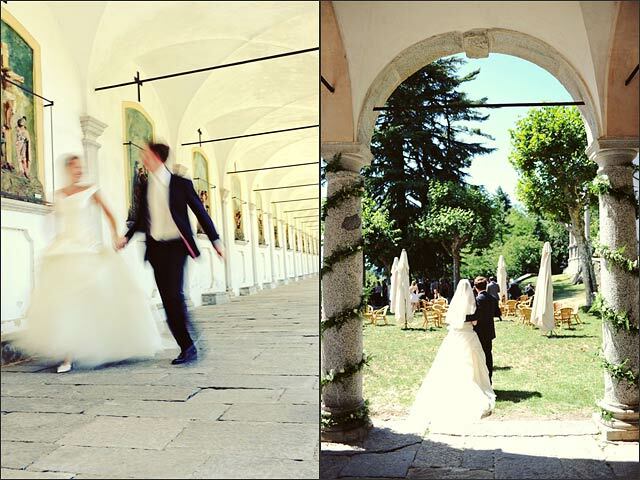 Sacro Monte of Ghiffa is an evocative complex of churches and chapels and it is the perfect frame for great wedding pictures as the ones that Andrea and Marcus of Tag7 took. The view on Lake Maggiore from Sacro Monte is really breathtaking. It is just here that after the ceremony bride and and groom decided to offer a little aperitif for their guests, just on the shades of seculars trees of Natural Park. 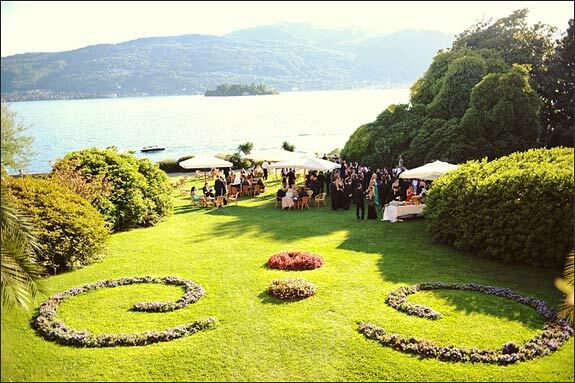 After ceremony and aperitif a very elegant reception to Villa Rusconi Clerici in Pallanza followed. The scenery was great and arrangements really sophisticated. 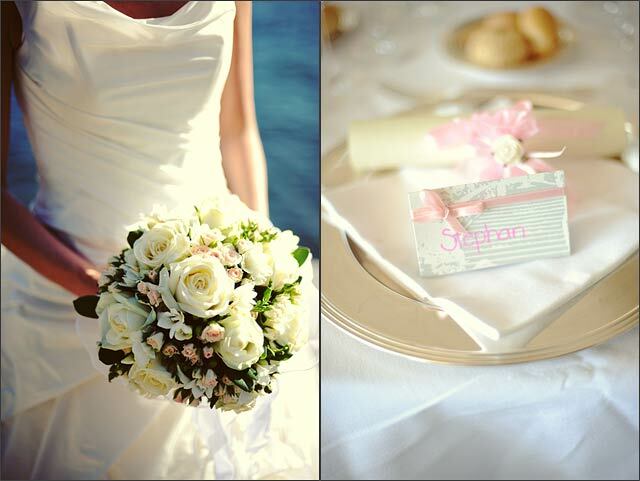 Simone choose as theme color baby pink with shades between white and pink. This theme was the same for wedding flowers and wedding stationery. Names-cards, tables names and table chart were all in the same color. The table chart has been realized using great buxus vases enriched with hazelnuts branches to create a nice support for lovely pink envelopes. There was an envelope for each guest telling him or her the seat. Photographers had a lot of fun the lovely details of the arrangements: there were so many of them! 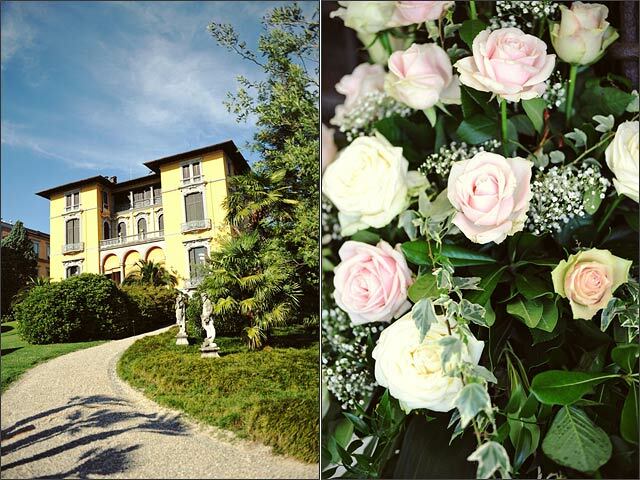 Not to forget the Villa Rusconi atmosphere, unique and evocative. 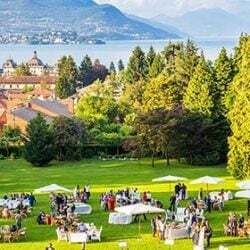 Around mid afternoon a second aperitif was served just by the lake shores in the villa’s garden. Cocktail was served together with Italian finger food: parmigiano, cheese with nuts, mussels and lake fish up to a wonderful fruit tart totally covered with almond coming from Sicily. 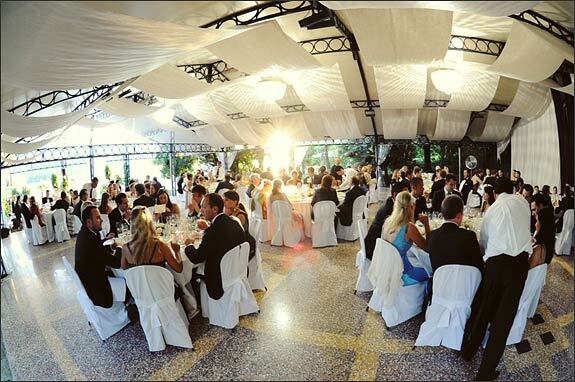 The party followed inside the wonderful pavilion of Villa Rusconi where dinner was served. 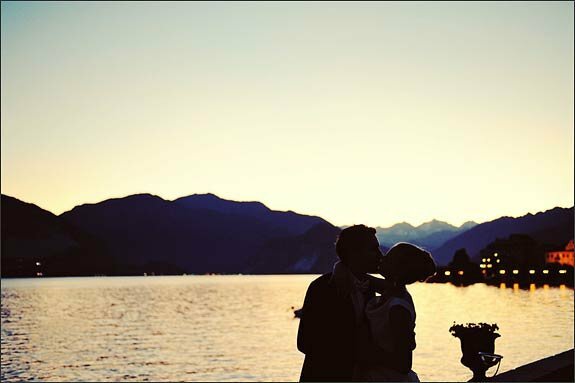 A romantic sunset on the lake and a great night came with the gourmand dinner. 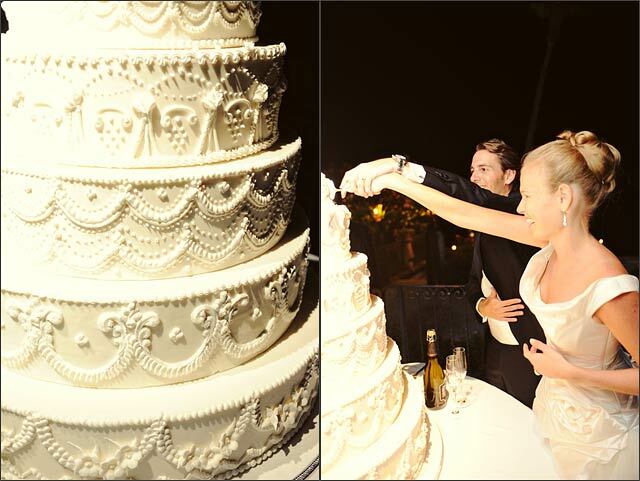 For their wedding cake Simone and Stephan wanted the precise replica of an cake they saw some months before which simply loved. Thanks to maitre chocolatier Costantino Guardia this was possible. They had a great 7 tiers cake which was decorated in every single detail. It seemed covered with laces. 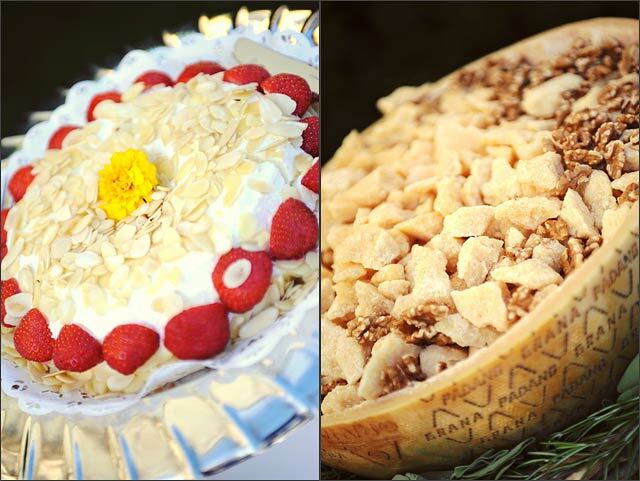 Guests had another surprise with the delicious sweets buffet and dances in the cellar of the villa and even a pizza party! Villa has an ancient oven where a pizza maker can cook pizzas to create a very amusing conclusion to your party. But surprises are not finished! Out in the park of the villa bridegroom and their guests had the occasion to en-lit a fly lantern each, making a wish and let it going in the air. 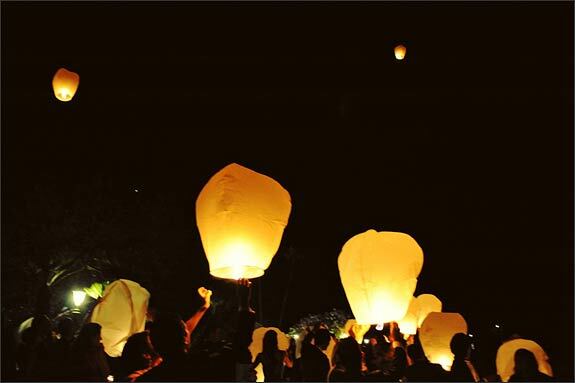 Lake Maggiore sky was full of little lanterns….a wonderful sight for a magic night! All Images © Tag7 © All rights reserved.